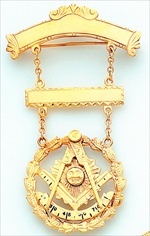 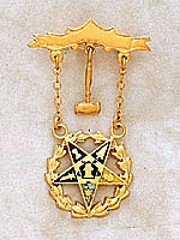 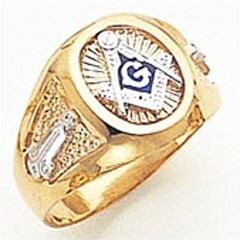 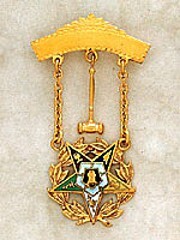 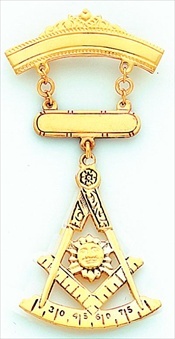 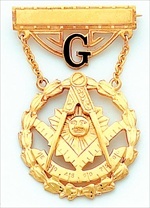 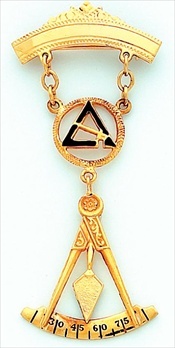 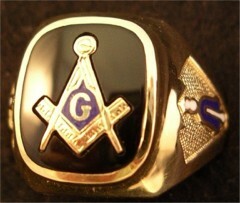 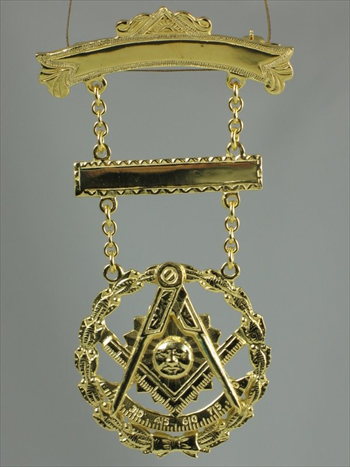 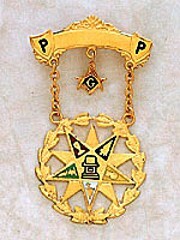 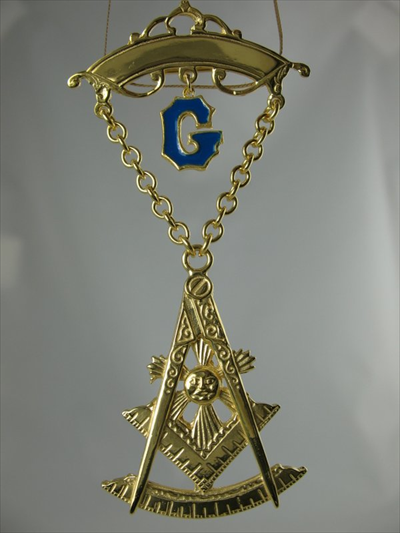 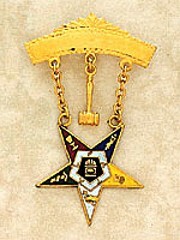 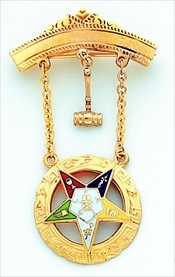 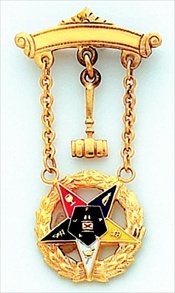 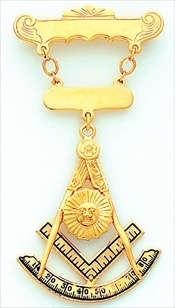 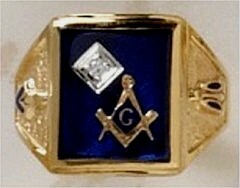 Fox Jewelry is proud to present its collection of Masonic Jewels available in 10KT gold or Vermeil! 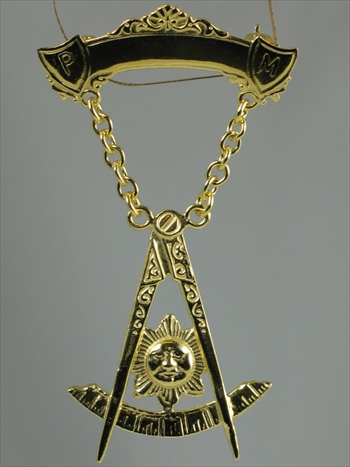 For those of you wondering what Vermeil is; Vermeil sometimes called silver gilt, is a combination of sterling silver, gold, and other precious metals. 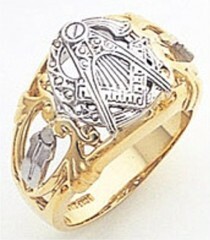 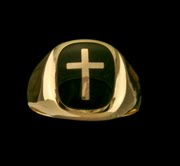 A typical example is sterling silver coated with 24 carat (92%) gold or 14 carat (58 %) gold. 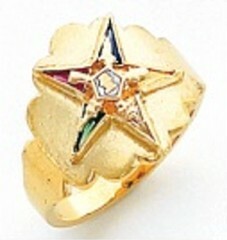 To be considered vermeil, the gold must also be at least 10 carat (42 %) and be at least 1.5 micrometres thick. 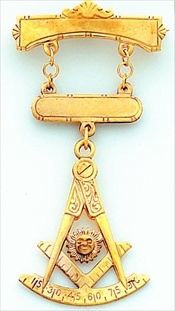 The Master's Square, when inverted and extended, becomes the Past Master's Jewel.Quadrant.The Compasses, extended to Thirty Degrees, are placed on the Quadrant.The space between the Compasses and the Quadrant forms the Triangle of the perfect man (looking to the Heavens for Spiritual Illumination).The Blazing Sun is placed within the Triangle (symbolizing the six point star symbolizing the perfect man; symbolizing the ever present Deity thereby forming) the Past Master's Jewel.In astrological definition, Thirty Degrees is known as the symbol of Rebirth. 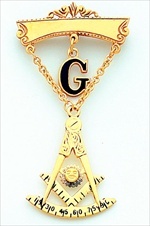 The Master has attained the Physical (Material) as well as the Spiritual that have prepared him for his Re-birth. 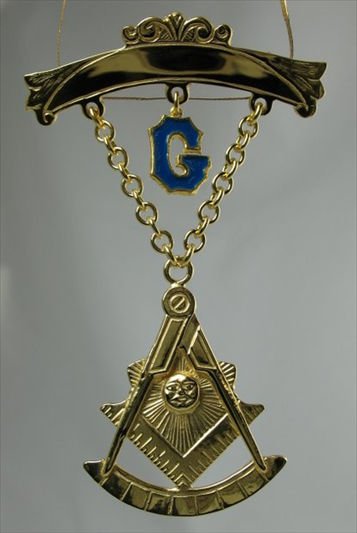 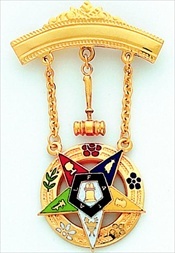 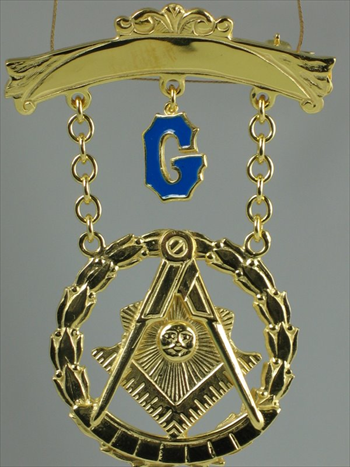 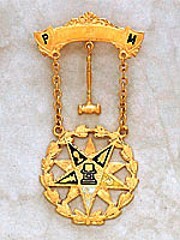 This is often similar to the Three moveable jewels, namely the Trestle board which is being labored on by the Master and eventually symbolizes the Past Master who history recognizes as being the Perfect man. 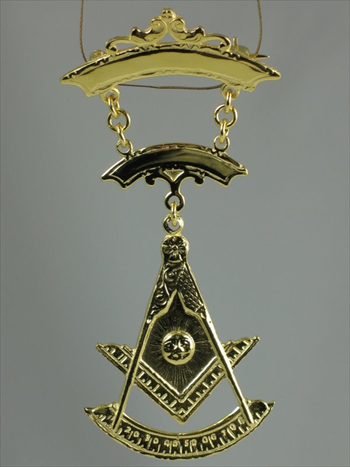 He, the Past Master, is inferred to possess the combined Physical and spiritual which connects Masonry to the Universal Law.Further, the lesson infers that the properly prepared Master is definitely one who has served in both physical areas South and west.